The latest supplement from Tobacco Control is a must read. All papers mentioned below are available open access. Features audio and news grabs are also available from the Cancer Council Victoria. While the industry bravely insisted early in its campaigning that plain packs “would not work” their legal actions, campaign expenditure, lobbying and general apoplexy rather suggests they feared it would be a devastating policy, with long term global ramifications. Indeed, eleven other nations (Ireland, England, New Zealand, France, Norway, Finland, Chile, Brazil, India, South Africa, Turkey) have either legislated plain packaging or are now warming up to do so. University of Sydney researcher Becky Freeman and I catalogued the full range of industry lies in our recently released (free) book Removing the Emperor’s Clothes. The Cancer Council Victoria has also published extremely detailed rebuttals to the major industry scuttlebutt. Now today, the British Medical Journal’s specialist journal Tobacco Control has published a special collection of new research which puts further 10,000 watt arc lights on specious industry claims. Prompt smokers to use special covers to conceal the large-scale graphic warnings on packs. One of the new Tobacco Control papers monitors changes in recommended retail prices RRPs from one year before plain packs were introduced until one year after. Prices were adjusted to 2013 prices, and for inflation and average cigarette price stick and grams of roll-your-own tobacco. The RRPs of tobacco products were higher in real terms one year after the legislation was implemented. Importantly, these increases exceeded increases resulting from consumer price indexation of duty and occurred across all three major manufacturers for both factory made and roll-your-own brands, all three cigarette market segments and all major pack sizes. Tobacco prices rose most for leading and premium brands 10.0% and 10.1%, respectively) and among packs of 30s (18.3%) and 50s (12.5%). 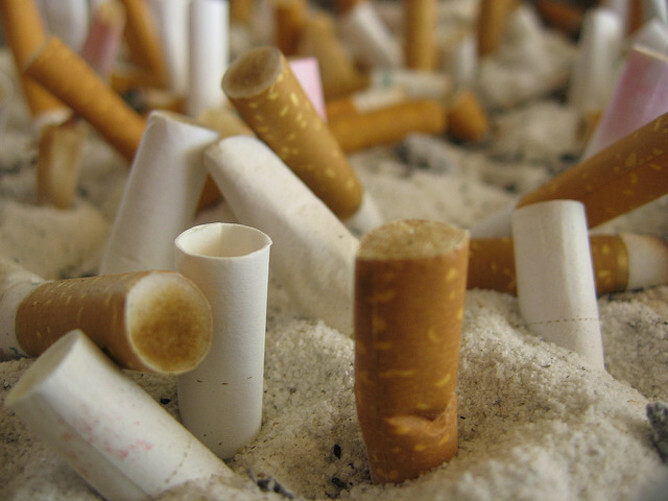 So far from seeing cigarette prices fall across the board, the industry raised prices. The tobacco industry’s most common claim was that plain packs would see smokers turn away from buying the purposefully confronting and unattractive plain packs and seek out illegal products not in plain packs. Tobacco spokespeople made the outrageous claim that about one in seven of all cigarettes being smoked were such illegally obtained cigarettes. Apparently, while ordinary smokers across the country knew where to buy these easily, the full might and resources of the Australian Federal Police could not work out where these were being sold. Tobacco companies have been proven wrong. Another study in the collection questioned 8,679 smokers across the country in telephone surveys conducted continuously, from six months before plain packs until 15 months afterwards. The study found no significant increases in reported purchasing of “cheap whites” (illegally imported Asian sourced brands), of international brands selling for 20% or more less than the normal retail price, or of unbranded loose tobacco (so-called “chop chop”). Rates of purchase of cheap whites and heavily discounted products were at around half of one per cent of smokers, nothing remotely like one in seven. One of the most bizarre claims the industry made was that plain packs would see smokers deserting corner stores for larger retail outlets like supermarkets. This was an appeal designed to tap into wider public sentiment about local corner store owners being crushed under the dead weight of government regulation. Those making the claim never explained why smokers would abandon small retailers for large ones because of plain packs when the very same packs would be sold in both. Consumer preference for larger retailers is entirely driven by price discounting, something never mentioned in the industry propaganda. A third paper in the collection examined where smokers purchased their cigarettes. Unsurprisingly, it found no changes from prior to and after the introduction plain packs in where smokers bought their supplies. In the month that plain packs were introduced, a Queensland small businessman got his 15 minutes of fame from publicity about special pack covers that could block out the unforgettable graphic warnings. Like children covering their eyes from scary scenes in movies, the idea was that many smokers would rush to do the same, outsmarting the hapless bureaucrats who planned the legislation. A fourth paper which reports on unobtrusive observations of smokers handling their packs in outdoor cafés found that prior to plain packs, just 1.2% of outdoor café smokers used pack covers. This rose to 3.5% in the early months of plain packs and then fell back to 1.9% one year later. In any event, evidence shows that smokers who actively try to avoid exposure to pack warnings by covering them up, have higher subsequent rates of quit attempts than those who don’t. Importantly too, these observations recorded that of all café outdoor patrons, one in 8.7 displayed a pack prior to the introduction of plain packs with this reducing to one in 10.3 afterwards. Such a fall is consistent with both a reduction in smoking prevalence and with growing self-consciousness among smokers about showing that they smoke in public. There were several principal objectives of the plain packs legislation. But outstanding among these was the goal of making smoking less desirable among young people. This would continue the trend away from smoking, as each successive cohort of children chose not to take up the habit. A fifth paper used school-based surveys prior to and after plain packs to examine students’ ratings of the “character” of four popular cigarette brands, and variables including perceived harmfulness, look of pack and positive and negative perceptions of pack image. Positive character ratings for each brand reduced significantly between 2011 and 2013. Significantly fewer students in 2013 than 2011 agreed that “some brands have better looking packs than others” and packs were rated more negatively, with positive ratings decreasing most in smokers. The tobacco industry and its acolytes can be expected to try to torture these reports to spin yet more denials of the impact it fears will quickly inspire even more countries to follow Australia’s lead. Australia is fortunate in having some of the very best researchers in the world whose work has contributed to the development of plain packs and now to the evaluation of its impact.